I’ve found the perfect new job for these times. Hope they’ll take me on! As Liuzhou’s temperature hits 37ºC /98.6ºF, I could be quite happy to join this chap who is well wrapped up. 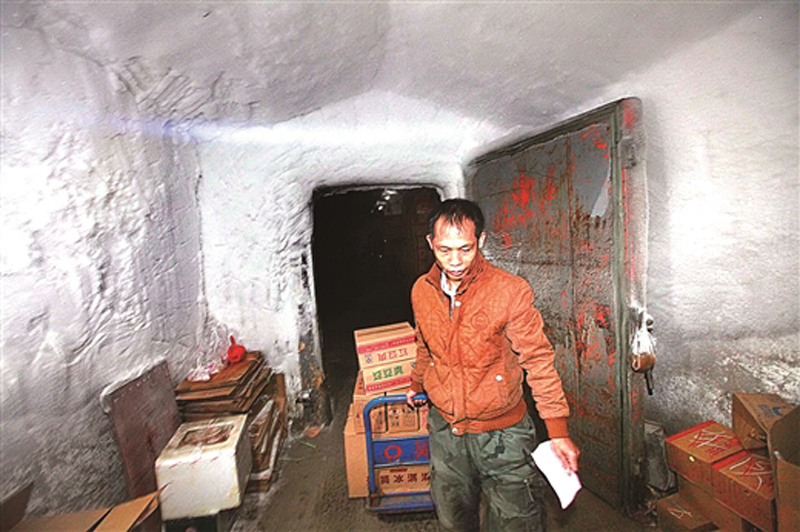 He is a worker in a Liuzhou refrigeration company and routinely works in temperatures of -18ºC / -0.4ºF. This means there is a 55º C difference between the inside and outside temperatures. Gis a job. I can do that.
. This entry was posted on Friday, July 28th, 2017 at 10:32 am	and is filed under Humour, Liuzhou Weather. You can follow any responses to this entry through the RSS 2.0 feed. Both comments and pings are currently closed.